Industrial & Residential Window Cleaning Lewisham SE | Quality Property Care Ltd. The domestic-commercial-window-cleaners from Quality Property Care Ltd. are all very extensively vetted, trained and experienced. 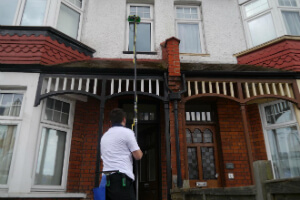 The company has been offering expert windows cleaning to all residents and businesses in Lewisham SE since 2005. The leaders have invested in the newest technologies in the window and other cleaning sector. The purified water telescopic fed poles they use are very efficient and safe for the windows and for PVC frames and sills. The company also provides rope access window cleaning for windows situated above the 4th floor for domestic windows cleaning and commercial windows cleaning as well. The service is very efficient and quick, and can be provided on any chosen day, weekends and bank holidays included, with no extra charge. Same day emergency windows cleaning service is also accessible. Along with your expert windows cleaning, you can also reserve one or more other outdoor cleaning and maintenance services. By booking more than one service provided by the company you will save a lot of money and time, and will receive a total cleaning service at once. You can get professional driveway jet washing, gutter cleaning, patio, inside and outside conservatory window cleaning, gardening and others. 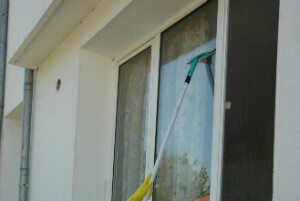 Certainly, for a full cleaning, you can order curtain cleaning and indoor windowns cleaning too. Indoor cleaning is done by hand with squeegees, efficient and safe windows cleaning solution.So, you can get a perfect window and gutter cleaning, or only windows cleaning by booking the reliable and high-quality cleaning services of the company. The firm Quality Property Care Ltd. can deliver you higher floor window cleaning via the specialised rope access windows cleaning teams. They will clean all windows above the 4th floor.Additionally, the company offers indoor window washing as a separate service, or as part of regular or commercial cleaning and one off residential cleaning.The cleaners will clean the windows in all kind of commercial properties and all kind of domestic properties with the help of microfiber cloths, squeegees, professional and safe glass cleaning solution, and with the help of ladders whenever necessary. You can combine the indoor and outdoor window cleaning with the professional curtain cleaning offered by the organization as well, for an even more stunning result. To book us give 020 3746 4287 a call where a team of professionals is ready to help you anyway they could. Contact us for free at the given number to receive info to questions and book the very best cleaning support in London.